You heard right! 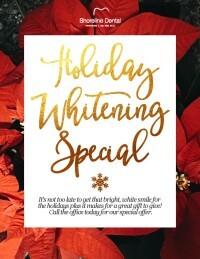 For the rest of December we have a special on our teeth whitening kits! 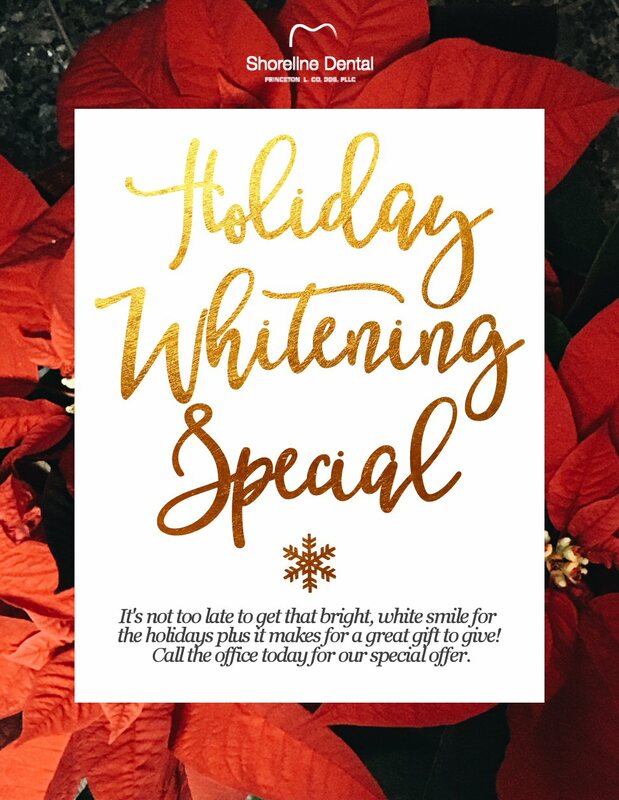 Not only could you use them to whiten and brighten that smile of yours for all your holiday photo-ops but they also make a dazzling gift to your loved ones! What better way to celebrate the holidays than with a beautiful smile, the gift of giving, and helping someone else achieve a smile as beautiful as your own! Call our office at 206.440.0065 to hear about Shoreline Dental’s special offer!